It is hard to believe that another year has already passed and that we are on the verge of 2015! It feels like only a few months ago I was posting Happy New Year 2014 and making plans to step back and spend a little more time with family after a very intense and busy year. I have to say, I am pleasantly surprised with how 2014 panned out! As Spring approached, our family of 4 found out it would be welcoming an additional member by the year's end (…with only 5 more weeks to go!... ), so the decision to step back was rather serendipitous! I must have done something right within the first year of getting The Pauhaus out in the public because I continued to have a steady flow of clients (both new and returning) without any promoting! It was the perfect amount for me throughout my pregnancy and it was indeed very encouraging. Our Holiday Sessions were no exception. Not entirely sure of what my physical state would be in the last weeks of my pregnancy, I held back on promoting. As these sessions are high in demand, I did not want to risk cancelling last minute. This year's sessions were entirely filled with a handful of clients that inquired and requested in advance with the awareness that they might be cancelled. The decision to go forth was not made until the weekend before they would take place and I would like to give a very warm and sincere Thank You to all the clients that were so flexible and understanding! We left last year's playful light blue for a deeper and richer winter night blue and adorned it with a customized Peace sign wreath, beautifully composed by my good friends Erin + Kerstyn at OLFCO (Our Little Flower Company). It seems our Holiday Sessions just won't be the same without something fresh, unique and seasonally aromatic from these talented ladies! 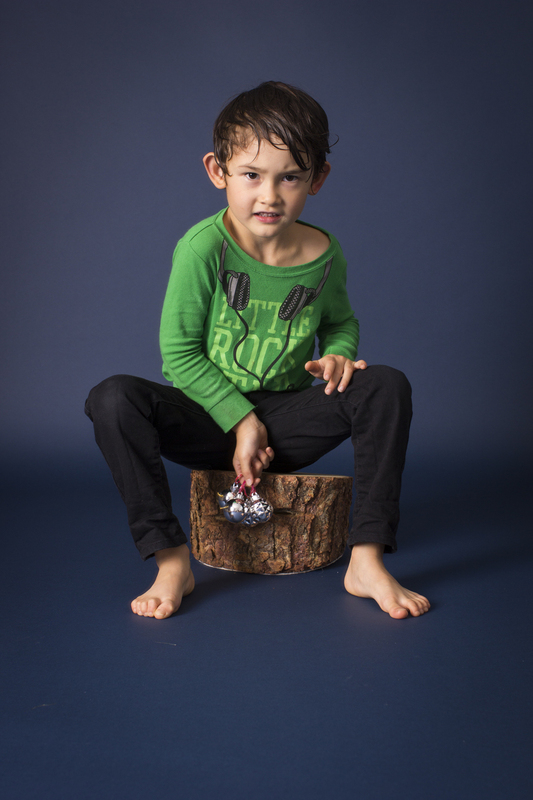 Enjoy a few sneaks from our Holiday 2014 Sessions! I can't believe these are over for another year! I had a wonderful wonderful time churning out these sessions in spite of my initial cold feet and big belly! I am so glad I went forward with these and so thankful to everyone who helped make them happen: To my ever-supportive husband Kevin and assistant Maggie for helping to set-up, to my Mama and Jess for helping mind the kids, and to my lovely clients for your loving support, your exuberance, and the extra flexibility and understanding you have shown me! What a terrible regret it would have been to not have had so many great moments captured for this Holiday Season. I am already so very very excited for next year's sessions!